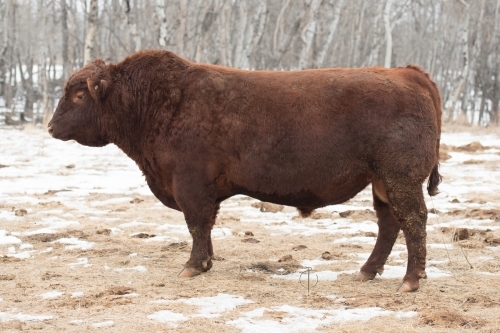 Indicator 30Z is a bull that jumped right off his page in the 2013 Mar Mac sale catalog and into our breeding program. We had been watching the amazing job of breeding that his sire Ribeye 346U was doing and decided we needed these genetics in our program. Indicator 30Z possesses his dams deep fore rib and the tremendous amount of muscle that the Ribeye bred cattle are so well known for. On sale day Indicator 30Z caught the attention of many astute cattlemen as he was the high seller at $12,000. Maternally Indicator 30Z packs a punch as numerous maternal siblings are working in seedstock operations across Canada and the United States. We are truly excited about the positive impact that this young sire has been having on our breeding program. 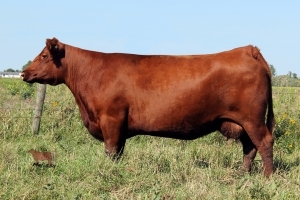 His first calves are easily rising to the top of our calf crop and display an abundance of muscling at a young age.